On this day in history, May 4, 1776, Rhode Island is the first state to declare independence from Great Britain. Rhode Island had an independent streak from its very beginnings. 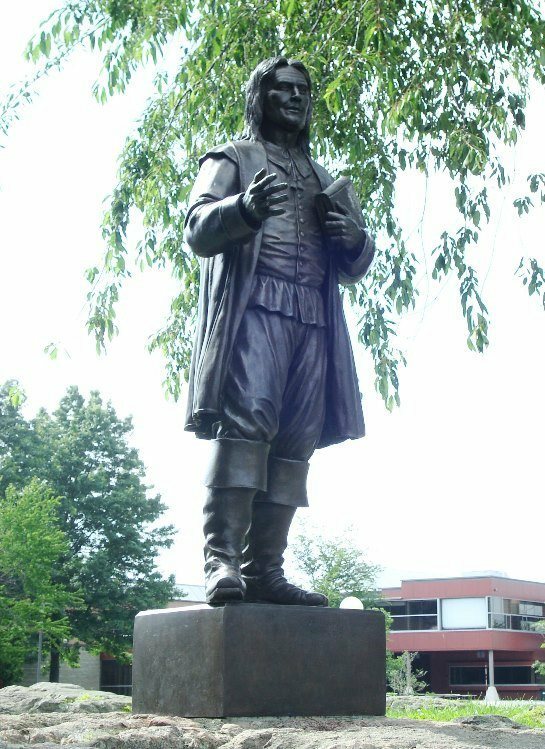 The colony was founded by Roger Williams, a Baptist minister who was kicked out of Massachusetts for his different religious views from the majority. Williams founded Providence Plantations in 1636 at the northern tip of Narragansett Bay on land given to him by the Narragansett tribe. In 1637, more Baptist refugees from Massachusetts, including Anne Hutchinson, founded another colony on Rhode Island at the southern tip of the bay. Today the island is called Aquidneck Island and has the cities of Newport, Middleton and Portsmouth on it. The two colonies joined together for common defense and common interests and were granted a Royal Charter in 1663 by Charles II, officially recognizing the "Colony of Rhode Island and Providence Plantations." The colony was known for religious toleration and became an early home for Baptists, Jews, Quakers and others. Because of its proximity to the ocean, Rhode Island became a major shipping and mercantile center and a center of great wealth. Much of the colonial slave trade was handled by Rhode Island merchants. As the American Revolution approached, Rhode Island was particularly affected by British shipping regulations and taxes, which fomented anger and rebellion in the colony. In 1769, citizens of Newport burned the HMS Liberty for enforcing anti-smuggling regulations. The Liberty had formerly been owned by John Hancock and seized by the British for alleged smuggling. In 1772, the citizens of Providence burned the British customs schooner HMS Gaspee for the same reason. On May 4, 1776, the Rhode Island General Assembly declared its independence from Great Britain, the first of the original 13 colonies to do so, two months before the rest declared independence on July 2. Ironically, Rhode Island would be the last of the colonies to ratify the US Constitution. Rhode Islanders were reluctant to cede sovereignty to the United States government, keeping in line with their independent streak. 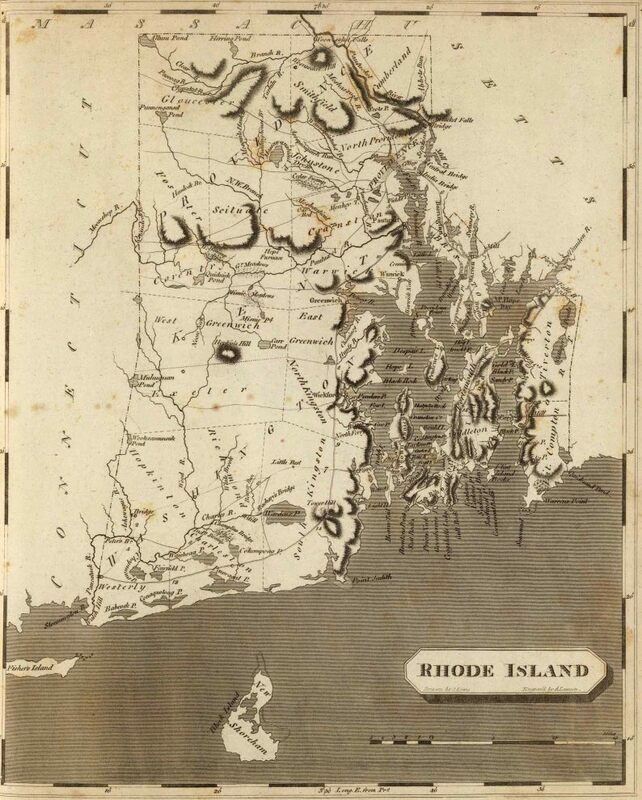 Rhode Island was wealthy enough that it could possibly have survived as an independent state. The primary way for the federal government to raise funds in that time was through taxes on trade. Rhode Island's heavy dependence on shipping meant it would have paid a heavy share of these taxes. Eventually, however, Rhode Islanders realized they would pay even heavier taxes to trade with the United States as a foreign country than as a member state and she became the last of the original thirteen colonies to ratify the Constitution on May 29, 1790.